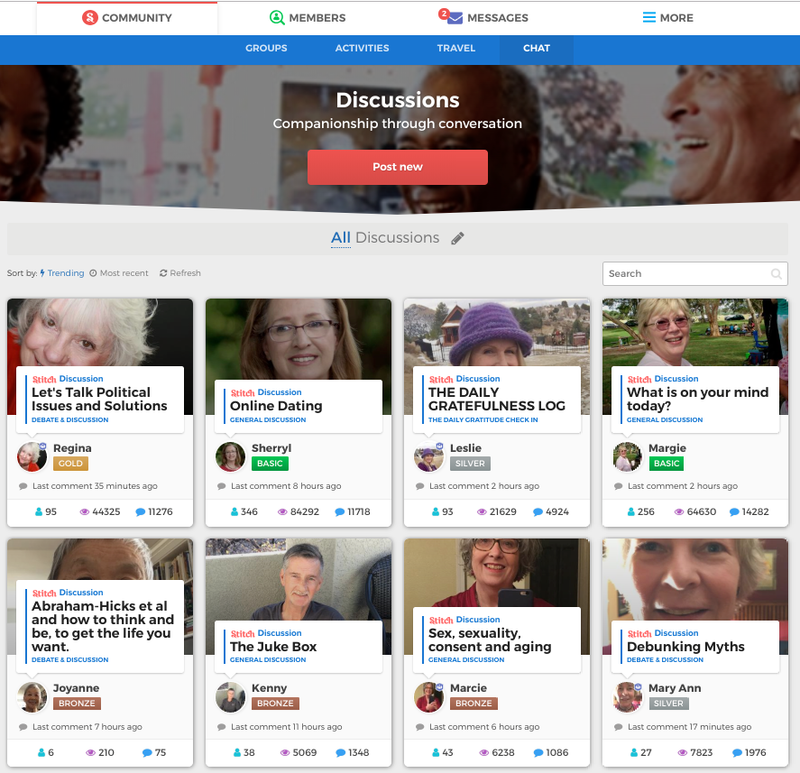 The Stitch Discussion Forums, otherwise known as Stitch Chat, are where members from all over the Stitch community come together to discuss topics of interest. 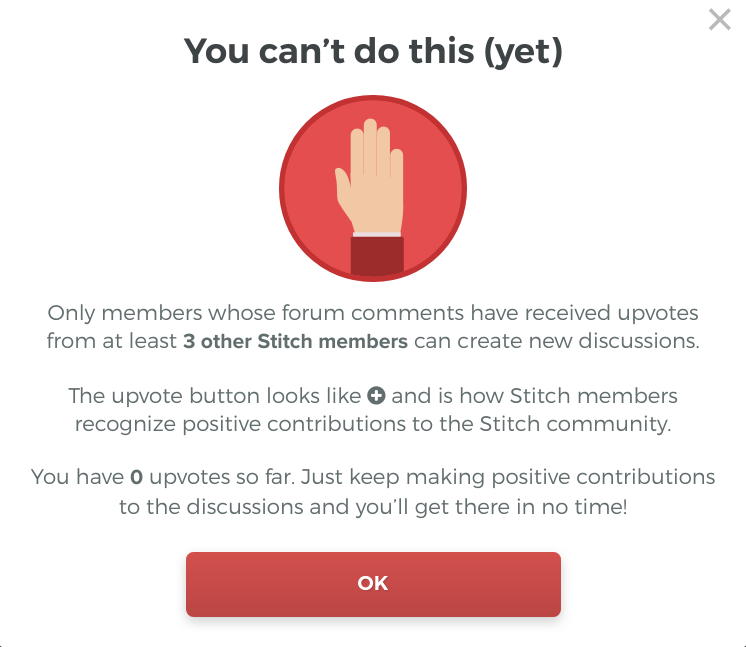 The main forum page will show you a list of the discussions, along with the profile pictures of the Stitch members who started the discussions, as shown below. 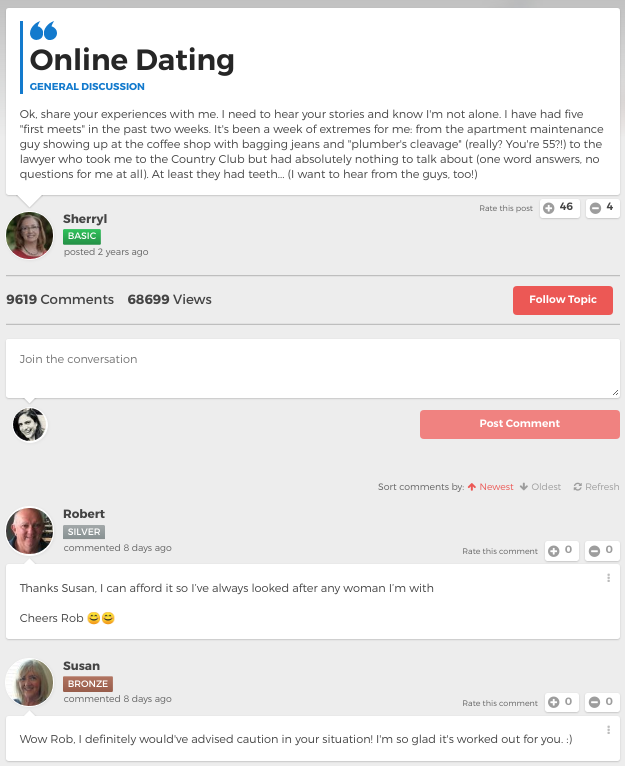 The most popular discussions are shown at the top of the page, while the rest of the discussions are ordered by when the most recent comment was made. To join the conversation, just type your comment and press the Post Comment button at the top of the page. When you post a comment, you will be prompted whether you want to Follow the discussion. Following a discussion means you receive email notifications about any responses that other members make in the discussion. This can be turned off by pressing the Unfollow Topic button at the top of the page, as shown below. 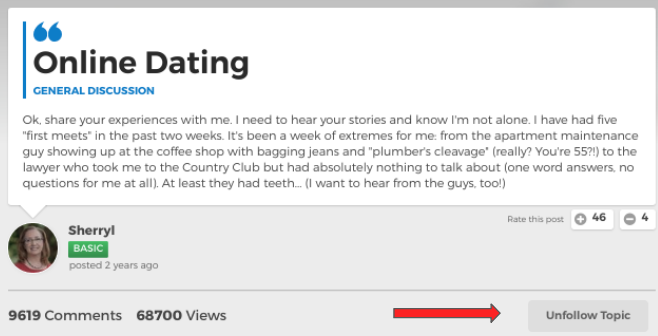 From the main forum page, select the red Post new button. If the below pop-up appears, it means you cannot create a new discussion as yet. You will first need to make positive contributions to other discussion forums - meaning you must comment positively and constructively on other forums - and only after you’ve received three upvotes can you create your own discussion. These three upvotes could be from three different people who have upvoted one of your comments, or it could be from three different people who have upvoted your comments from multiple different forums. If you keep making positive contributions to discussions, you'll get there in no time! Please ensure you familiarize yourself with the guidelines, and report any comments which you feel are out of line with the behavior expected in the Stitch community. You won't want to report many comments as inappropriate. More often, you'll want to give some gentle feedback about whether the comment makes a positive or negative contribution to the community, and is an example of the behaviors all members are expected to exhibit.